Oracle Documaker is designed for businesses looking for Enterprise Document Automation solution by automating documents and customer service. 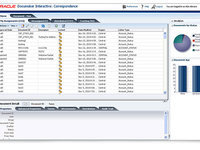 Oracle Documaker is the most widely-used Enterprise Document Automation (EDA) solution. 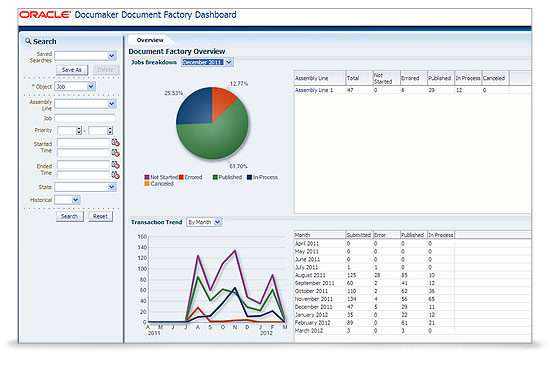 Documaker dynamically creates, manages, and delivers enterprise communications to customers and stakeholders, when and how they want them whether by print, email, text messaging, social media, or any other format. 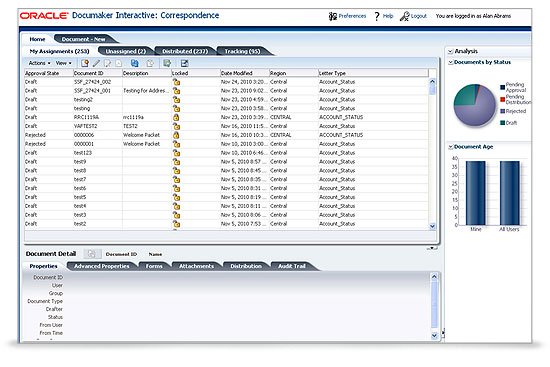 A rules-driven system, Oracle Documaker automates documents, improving communications and customer service while achieving higher levels of efficiency and reduced cost. it's a great software. I can find my documents easily. Pros: ease of use, really easy to setup couldn't be more satisfied by a piece of software. It has helped our business to achieve its true business potential. Cons: It can get really complicated to initially set it up, so this is a minus for me, on the other hand this is a one time cost you have to pay to use such great software. It has helped to create efficiency and growth with my business. Pros: Documaker has various design tools and templates that allow me to customize all of my documents. I like that the recipient handling mechanism allows for one to one as well as one to many delivery options. Cons: I wish that document indexing was included with the software. It also lacks the features of email management and print management.